Following the succesful launch of our FPS Barbezieux office, run and staff by a team which over 10 years of estate agency experience in France and the UK, we have about 600 properties to propose you in south Charente and south Charente Maritime. Barbezieux is a typically attractive south Charentaise and attractive market town, with peaceful old streets and ancient houses. It offers such a good range of shops and facilities such as bars and restaurants. The 3 weekly markets are a delight for everyone with the very best of local produce, they are an essential of the French way of life. 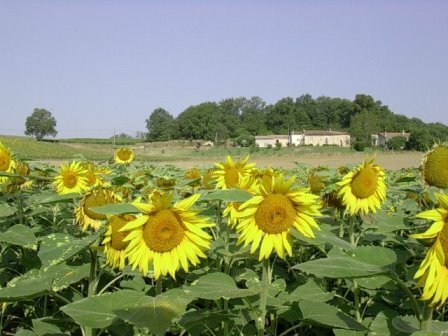 Southern Charente is the department that gave the world and it is no surprise that the quality of life offered here mirror its famous product. It is an unspoilt region where ancient countryside and stone buildings are predominant with a sunny, pleasant climate - not quite as stiflingly hot as in the deep south. South Charente Maritime is the Poitou-Charentes coastal department. Famous for its sun, sand and salt and 400 km of glorious sandy beaches. FPS - : 21, rue Thomas Veillon - 16300 Barbezieux - Tel : 0033-5 45 78 31 72 or email us at : rf.egnaro|spflras#rf.egnaro|spflras.